Doing it can feel like a chore, disrupting family time and causing stress, but it doesn't have to be like that. Martin Stuart, a learning support teacher at Talbot Senior National School in Clondalkin, Dublin, investigated the effectiveness of homework as part of his postgrad diploma in education at Dublin City University. He found there was a dearth of research on homework's effectiveness, but what information there is points to a need for putting in time limits on it to reduce stress. He says that 2016 statistics from the National Parents Council showed that 27pc of parents and 38pc of children did not find homework beneficial, while 62pc of parents found it stressful. Stuart says the research strongly favours children and parents having more of a voice in the homework they undertake and for teachers to provide opportunities for in-class supervised study, including homework time. From the Economic and Social Research Institute's (ESRI) 'Growing up in Ireland' series, we know that 97pc of children receive homework four nights a week. The research also shows that only one per cent of teachers expect homework to take more than an hour, yet it takes 26pc of nine-year-olds that amount of time to complete it, including seven per cent who are taking more than an hour and a half. The results paint a picture of teachers not necessarily in touch with exactly how homework can impact on family time. Stuart believes that before giving homework every day, teachers need to ask is it necessary. Since his study, 'How can we make homework effective for all children? ', (available at effectiveforall.blogspot.com) his own school has reviewed its policy. "We gave everyone a voice, truly listening to parents, to teachers, to SNAs and to children. We had many discussions and surveys. "Last October we agreed a new policy. It has a few significant changes. The biggest is we've introduced time limits. We've introduced more choice for children. We've clarified the aims of homework for everyone, including that each child overall enjoys their homework," he says. "We've given parents and children a voice in setting some of their own homework. We're aiming to boost learning, to boost enjoyment, and to ensure that no child gets upset or worried about their homework," he adds. 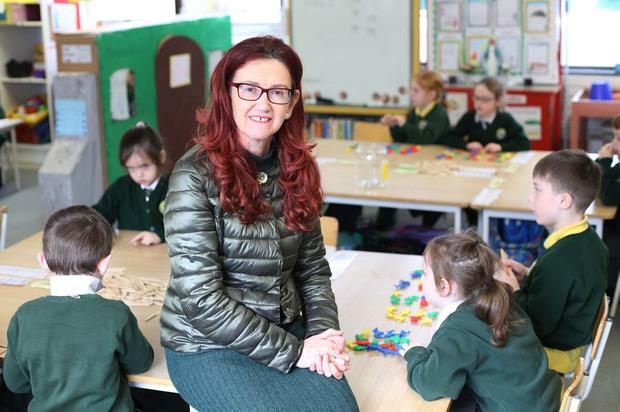 At Scoil Naomh Brid in Muff, Co Donegal, principal Teresa Ward says not only does homework reinforce what the child is learning, but acts as a very important link between home and school. She explains that children don't get homework on something they haven't already done. "They might have project work, which gives the children an opportunity to develop their research skills and pursue something they are interested in," says Ward. She believes homework lays down strong foundations for children to become self-sufficient learners. "That's what we are preparing them for. The ideal situation is to do homework straight away when they come in from school. We would expect that junior and senior infants would not be doing any more than 10 minutes and, for second and third class, the maximum would be 40 minutes. If it's taking longer than that, don't do anymore," she says. Patrick Patton, Principal of Scoil Naomh Fionán in Whitecastle, Co Donegal, says the debate around homework is a complicated one. He says the school's policy is that it gradually increases homework year on year. "Increasing it as they go through the school means they develop a habit of doing homework before transitioning to secondary school," says Patton. "What we would always say is if children sit down and do between 30 to 40 minutes in fourth class and if, at the end of that, they haven't got it done, parents should drop us a line. We ask parents to let us know if there's an issue. Good communication is key," he says. He points out that giving things like tables as homework promotes and embeds the learning children have done in class and while there is an element of rote learning to tables, they are essential to problem solving. "A good knowledge of tables facilitates higher order thinking in maths. It can be a massive stumbling block to problem solving in particular if children don't know their tables properly. While they will do them in school, it's one of those things where children just have to sit down and learn them at home," he says. While there is no Department of Education policy on homework, Anthony Doogan, principal of Moville Community College, Co Donegal, says most students recognise homework as necessary for success in school. And he points to a direct correlation between the students who are most engaged and exam success. Doogan says they would advise students in first year to do an hour of homework a day, working up to three hours or more a day at Leaving Cert level. He says that for a child to be fully engaged with their subject and for them to assimilate the teaching they've received during the day, they'd need to put in a half hour per subject at home to cement their learning. Doogan says a big issue at his school is the number of students taking on part-time work, which means juggling homework and work with extra-curricular activities. "That can sometimes lead to a clash," he says. It's an issue the school addresses with sixth years and their parents at the start of the school year. "We would definitely notice that poorer results are proportionate to how long a student engages with part-time work," he says.